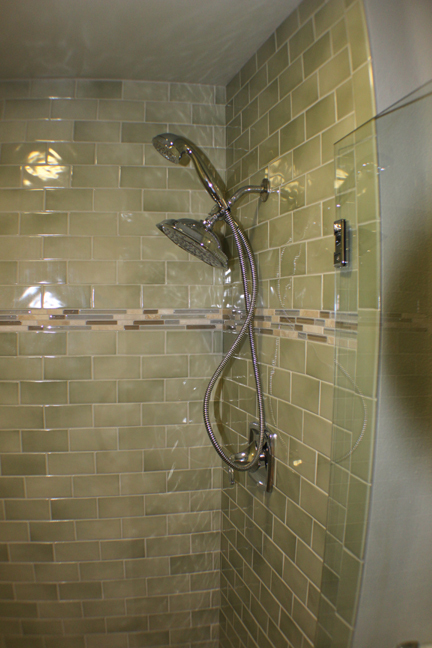 ← Do you like low-flow shower heads? Well we’ve done the research for you, combing through thousands (just kidding – maybe hundreds; uh make that maybe tens) of websites and blogs, noted what our clients have requested lately, and the results are in. Ta da! 1. Kitchen cabinets: Clean, simple contemporary looks will be popular, with homeowners looking to economize and eliminate clutter and details that increase cleaning time. 2. Quartz composites are popular for countertops, due to low-maintenance (one of my favorite phrases), sturdy countertop material. Don’t forget great-looking! 3. Pre-finished and engineered wood flooring is becoming more popular due partly to the lower installation cost compared to site-finished flooring and to the hard, durable finishes available. 4. Deep, single compartment kitchen sinks, believe it or not! It seems like since forever that every kitchen had a two-compartment sink, but no longer is this a requirement. With accessories such as fitted colanders and dish drains, deep single bowl sinks have all the benefits of a divided sink, plus the large size to actually fit a roasting pan or baking sheet. We are getting both stainless steel and Corian requests from clients for materials. Kitchen sinks tend to be stainless and bath lavs tend to be Corian. 5. Colors; this is a very personal thing, but the indications are that charcoal will be popular this year (if the stars line up . . . ha, ha, just kidding). 6. Bathroom countertops are going with marble for total luxury, or marble look-alikes with manufactured stone materials. 7. Remodeling the home for older residents, which is called aging-in-place (we are certified for this type of design), or alternatively, called universal design, meaning the layout and materials are appropriate for any age, as is helpful in multi-generational homes, is increasing in popularity. 8. Green and sustainable is popular, with homeowners choosing materials that are free of toxics and any chemical off-gassing ingredients. 9. and 10. How about our readers sending in your opinions and observations on what you feel are the home remodeling trends this year? Shoot us an email at office@roseconstructioninc.com and we will post your comments. Keep it clean, people! Seriously, we’d love to get your input.